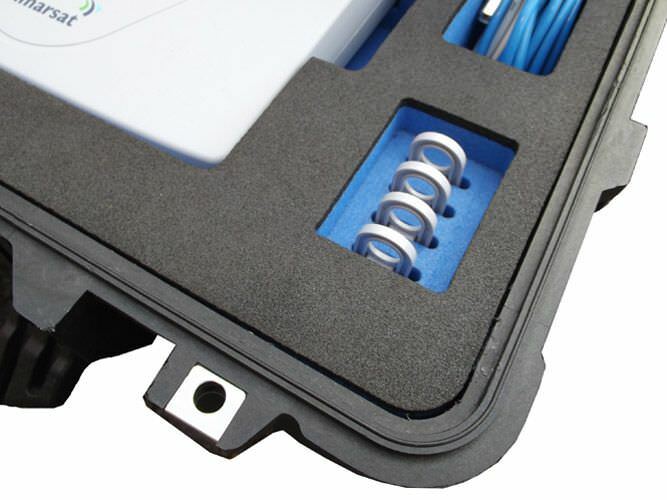 Engineered custom foam cushions for cases and bags that protect, retain and organise your contents. Working with your CAD data, physical samples or measurements obtained by a visit, we create and present our designs and drawings to you using 3D CAD software. Manufactured at our dedicated foam facility using CNC machinery, our cushions are of the highest standard. Barum and Dewar’s design team have many years’ experience creating the most cost effective, efficient designs. Our Engineers use PTC’s Creo (formerly Pro/ENGINEER) 3D CAD software to model foam inserts and cushions to protect your contents. Designs are carefully thought out to ensure the best possible protection for sensitive equipment. When multiple parts are contained in a single cushion they are nested to ensure most efficient use of space. 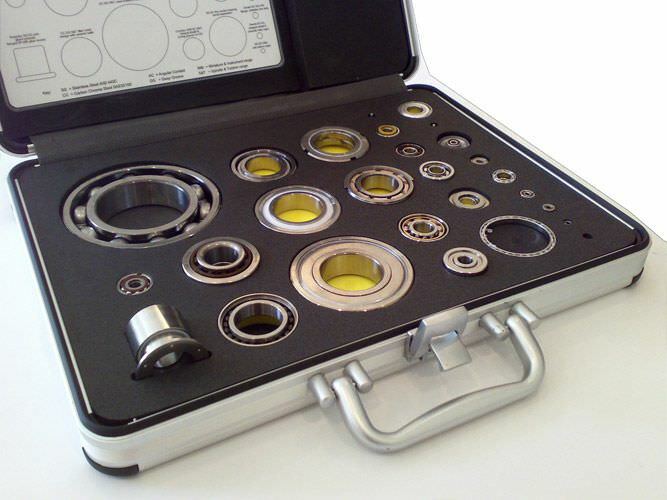 The final designs offer the most cost effective, high performance solutions. 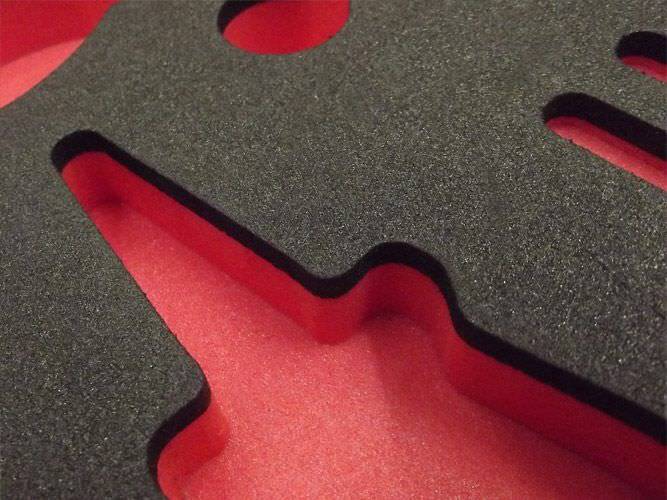 We carefully select the best foam for your application from a range of market leading suppliers. Depending on project requirements, foam type is chosen to provide the required characteristics. Closed cell, open cell, high durability, high temperature, flame retardant and conductive are all properties differing foam grades possess. All these grades are available in varying densities, giving us the ability to fine tune each design exactly to your needs. 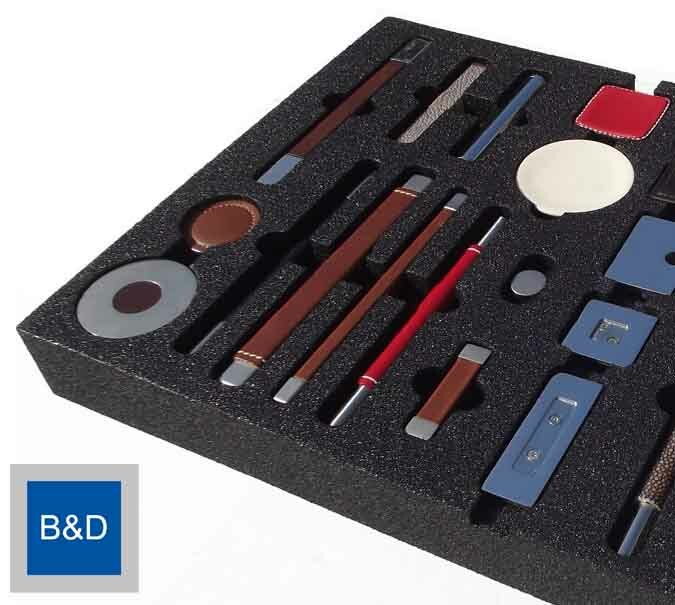 Colour can be chosen to match your brand, logos machined into the foam to display company image as required. 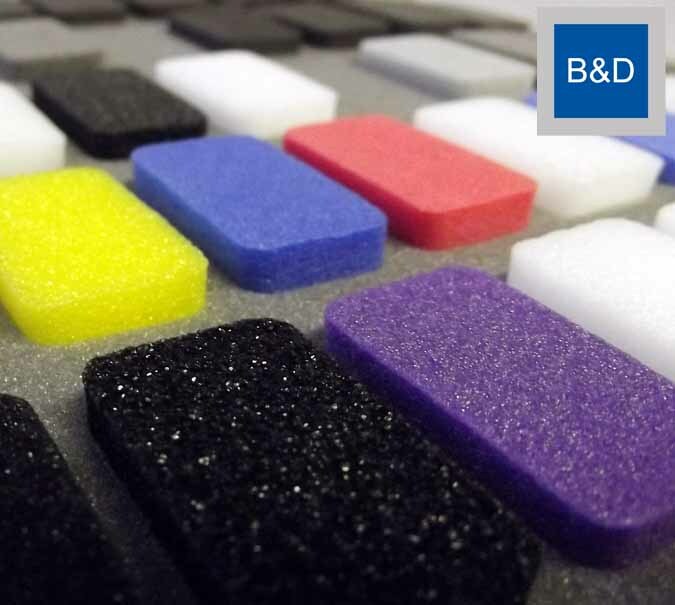 Our foam is manufactured at B&D’s dedicated facility in the UK. 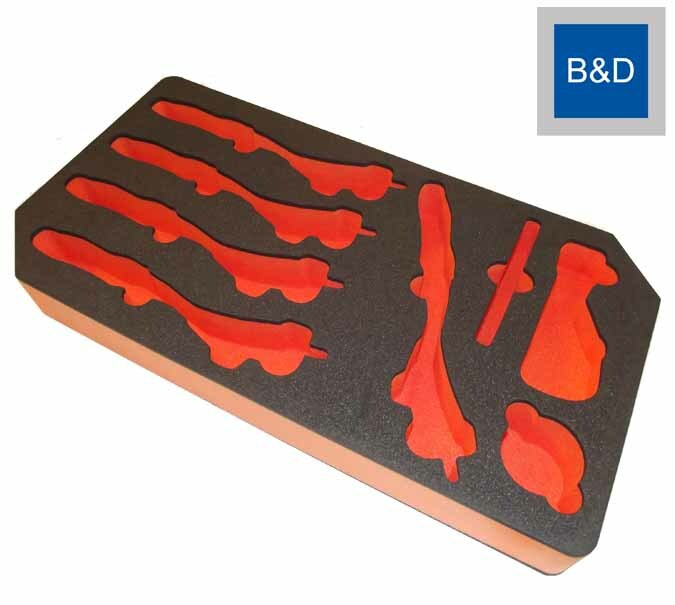 Following ISO 9001 quality procedures and utilising the 3D CAD models, processes such as CNC routing, die cutting and heat sealing are employed to produce foam inserts, cushions and pads. 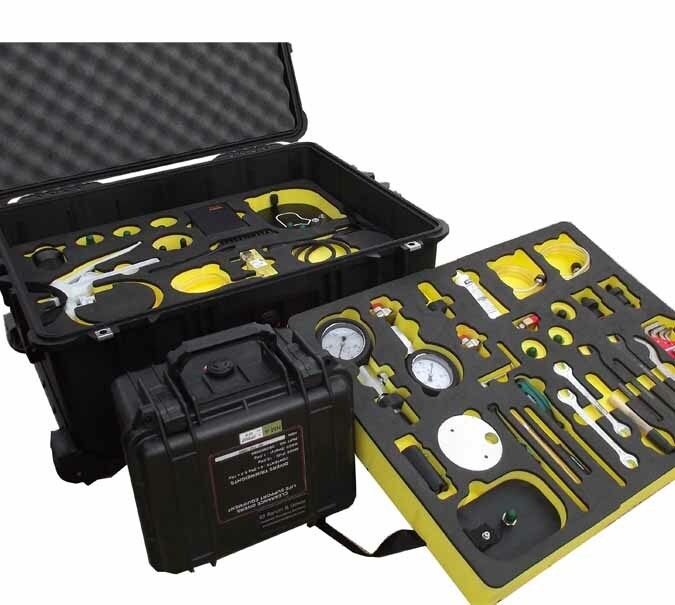 The foam parts are bonded into cases, providing the complete packaging solution. We arrange delivery promptly to agreed timescales.